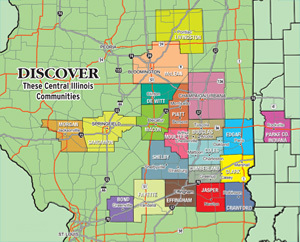 Welcome to Discover Central Illinois. 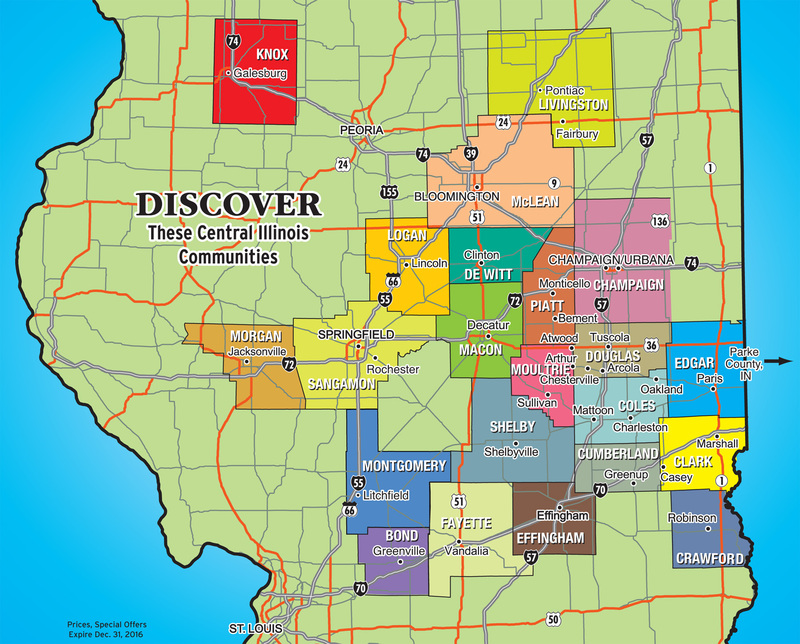 The premiere Tourism Guide for the Central Illinois Area. This free annual magazine for tourists and visitors features articles and photos of attractions, festivals, events and sites in Central Illinois. Distributed throughout Illinois in Tourism Information Centers, Visitor Centers in each town featured and Participating Businesses. ﻿Amish lifestyles are far different from the everyday lives most Americans know. The Amish live humbly and simply, dedicating their lives to religious ideals. Nearly 4,500 Amish people populate Moultrie, Douglas and Coles counties in such communities as Arcola, Arthur, Lovington, Sullivan, Tuscola, Cadwell, Chesterville, Atwood and Cooks Mills. The Amish faith is based on Menno Simon’s break from the Roman Catholic Church during the Anabaptist movement in Europe in the early 1500s. The Amish later split from this group, known as the Mennonites, due to their belief in shunning those who leave the church, established by Jacob Ammann. After suffering persecution for generations, the Amish and Mennonites set sail for the United States in the late 1600s and early 1700s. ﻿In 1865, Central Illinois saw its first Amish settlers in the families of Daniel Yoder, Daniel Otto and Moses Yoder. Today, Amish communities spring up across the United States, with large populations in Indiana, Pennsylvania and Ohio. In all, Amish communities are found in 27 states. In following with traditional customs, Amish people do not use electricity or operate automobiles and modern farm machinery. Instead, they travel by horse-drawn buggy, use propane to fuel their light fixtures and heat their ovens, and farm using teams of horses. While most American homes are now filled with the noises of modern-day technological devices, Amish homes remain much quieter. Amish people do not own radios or televisions and only use telephones outside their homes for business and in cases of emergency. Amish children begin working on family businesses and farms at ages as young as 5 years, performing chores typical of children who live on a farm or who are raised in a family business. As children grow, their responsibilities increase. FREE To Tourists And Visitors! 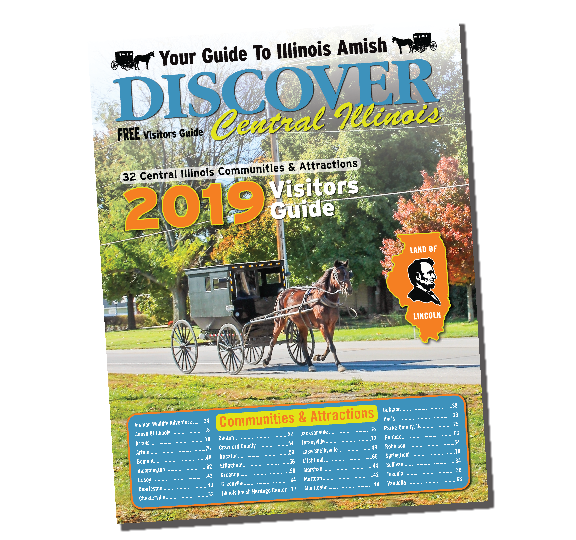 The premiere Tourism Guide for the Central Illinois Area This free annual magazine for tourists and visitors features articles and photos of attractions, festivals, events and sites in Central Illinois. (c) 2019 Rankin Publishing Co.